Made by Cub Mum Stephanie Andrews. 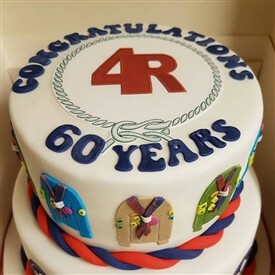 22nd January 2017 was a very special day for the 4th Rochford Scout Group, as it was their 60th Birthday!!! Over the years, it has been run by a dedicated Group of Leaders who volunteer their time. 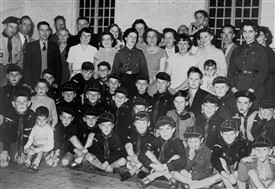 The Group was founded by Norman Jackaman and on this day in 1957 he became their first Leader at St. Andrew’s Hall (now Rochford Day Nursery on the Ashingdon Road). Charles Tabor donated land in Church Walk, Hall Road, Rochford to the Group in the mid 1960s and after much fundraising, our present HQ, the John Howard Hall, was built in 1967. 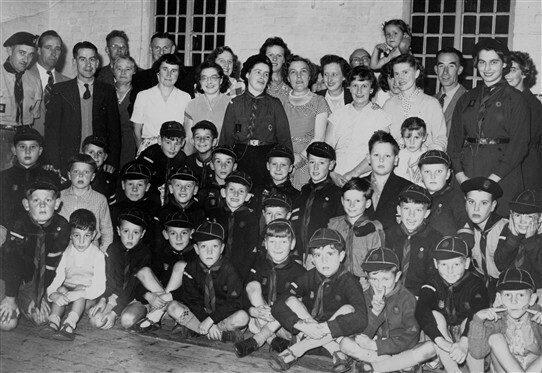 The Hall was the envy of most local Scout Groups and most District Leader Meetings took place there. Sadly, after an illness Norman Jackaman had to hand over the mantle to Derek Tyrrell, who was a Group Leader there in the 1970s & 80s. Guides & Brownies used to hold their meetings in the Hall too. Derek Tyrrell passed his duties onto John Howard in the 1980s (who the Hall is named after) and John remained Group Leader until 2010. He is now on the Executive Committee. 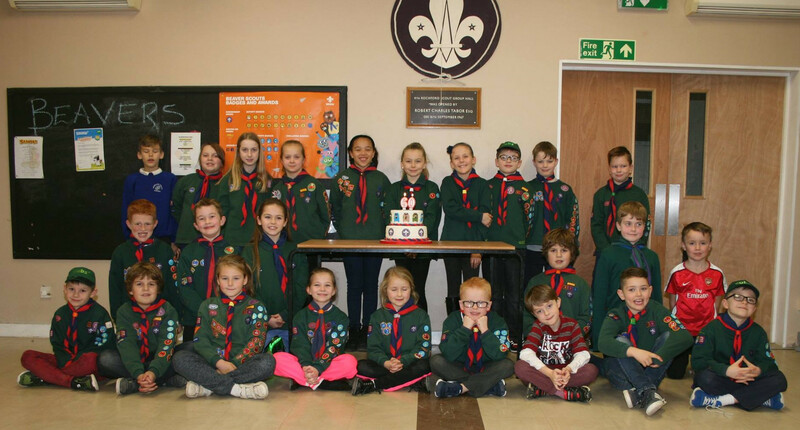 The 4th Rochford Group had a beautiful 60th Birthday Cake made by the Mum of one of the Cubs to mark this very special occasion and the Cub Pack all enjoyed a piece at their meeting on 20th January. 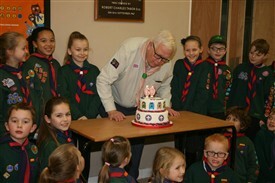 The candles were blown out and the cake cut by the present Group Scout Leader, Bill Neobard. The Group is stronger than ever and now has over 100 children enjoying all the Scouts, Cubs & Beavers Activities on offer! Here’s to another 60 years!!! I believe I am on the 1957 photo on the far right of the front row wearing a cap but no uniform. I would have been five years old. I remember Norman Jackaman had twin sons and was a stamp collector. I was a cub with 4th Rochford in the early 60s, Norman Jackaman was the scout leader then, Mrs Giddings was the cub leader. My mother, Marion Pastfield used to lead the cubs at Stambridge.